GRAND BAHAMA ISLAND, JUNE 30, 2015- Come July, the Ministry of Tourism, Grand Bahama will launch the island’s most exciting Summer Festival Experience of 2015. Grand Bahama’s Summer Experience features eight weeks of rich, cultural excitement and expressions of Bahamian heritage through Goombay Summer and Junkanoo Summer Festivals. Kicking off the festivities will be the Goombay Summer Festival, July 2nd– 30th, 6:00p.m. - Midnight. The festival is set for Thursdays at Taino Beach, with the exception of a special Friday celebration on Independence Day, July 10th. Residents and visitors can enjoy conch and coconut demonstrations, nature walks, bush tea tastings and the ministry’s signature People-to-People experience. GRAND BAHAMA ISLAND, Bahamas – May, 2015 - Grand Lucayan, the award-winning resort offering an authentic, classic Bahamian experience, proudly announces the launch of an all-inclusive concept, Lighthouse Pointe at Grand Lucayan. The new 198 room upscale resort will serve as an additional option for guests seeking an all-inclusive vacation experience instead of the traditional à la cart model. Expected to be unveiled late 2015, Lighthouse Pointe at Grand Lucayan is currently undergoing a multimillion dollar enhancement project. Extensive renovations include modernized guest rooms, upgrades and redesigns of the common areas, restaurant updates and more. Ideal for a variety of guests ranging from families to couples, Lighthouse Pointe’s amenities will include an on-property nightclub for adults and expansive kids club for guests 12 years of age and under. With unmatched service & attention to detail, Flying Fish offers a blend of traditional & modernist cuisine techniques not used anywhere else in the Bahamas. 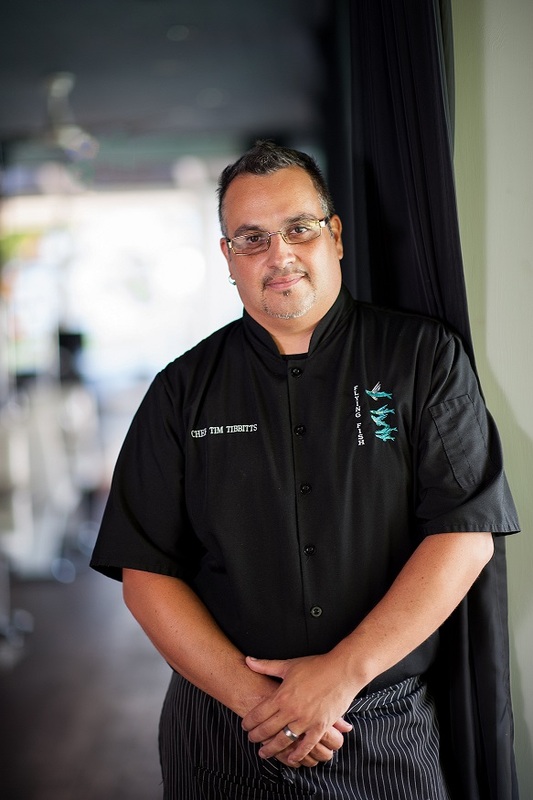 Focusing on local seafood & indigenous ingredients prepared with the utmost skill & creativity. Flying Fish boasts the Bahamas only female Certified Sommelier, Rebecca Tibbitts. Chef Tim Tibbitts is named in the Top 25 Chefs for 2014 in the Caribbean by Caribbean Journal. The restaurant has also been named one of the Top 10 in the Caribbean by TripAdvisor, is Fodor's recommended for Grand Bahama Island and has been awarded 4 Diamond rating by AAA-The first restaurant in Grand Bahama history to achieve this honour.. The Caribbean's finest waterside dining..
And now you can savor the taste at home with Chf Tim Tibbitts' recipe for Grilled Calamari in Brown Butter. Enjoy!